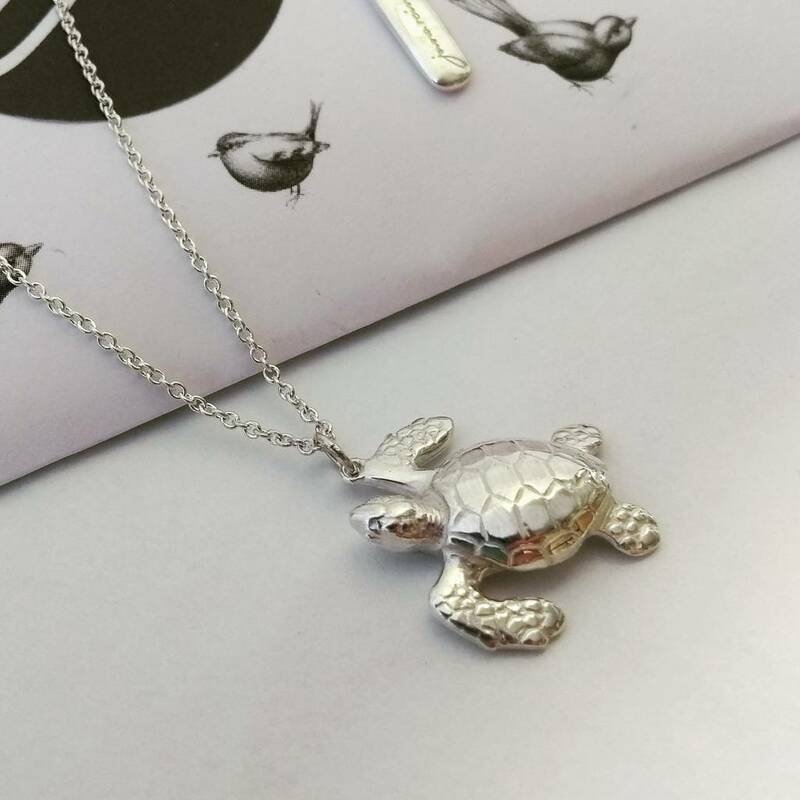 A super cute loggerhead turtle pendant, handmade in Britain from solid sterling silver. Living life at 100 miles an hour? 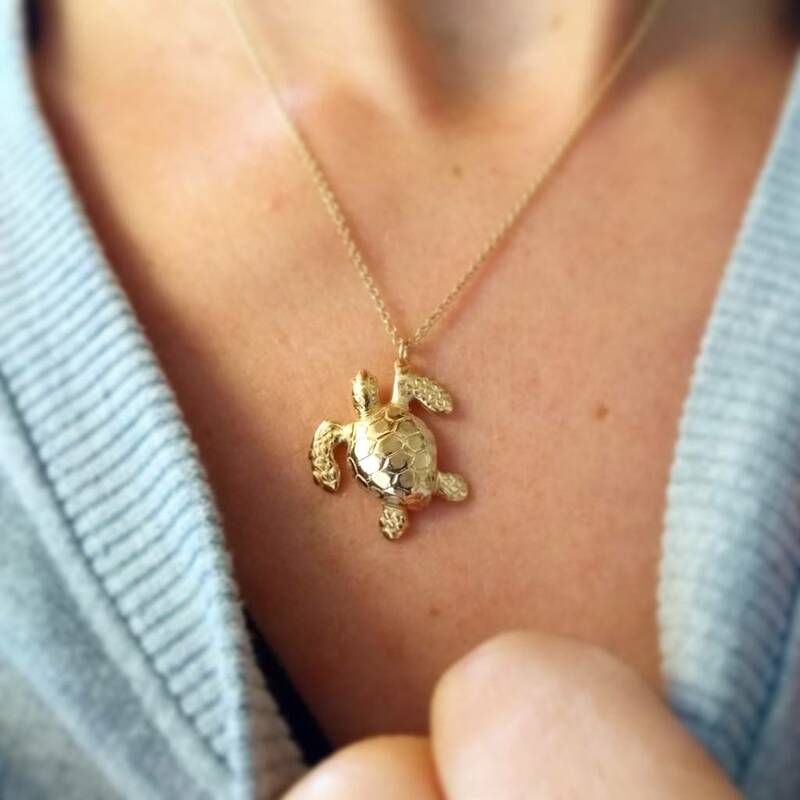 Our turtle necklace was made for you. The perfect reminder to take things that little bit easier and at your own pace. Turtles are creatures of peace and inner strength - let’s face it, we could all take some pointers from these little guys. 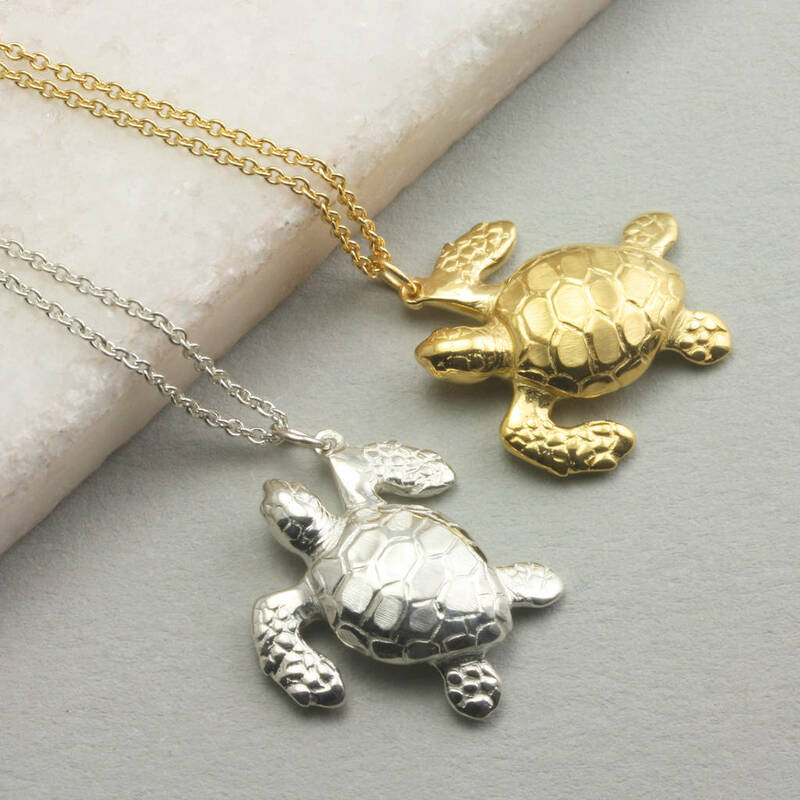 Our wonderfully detailed turtle necklace is entirely UK made, by hand, by one of our skilled goldsmiths at our seaside workshop. 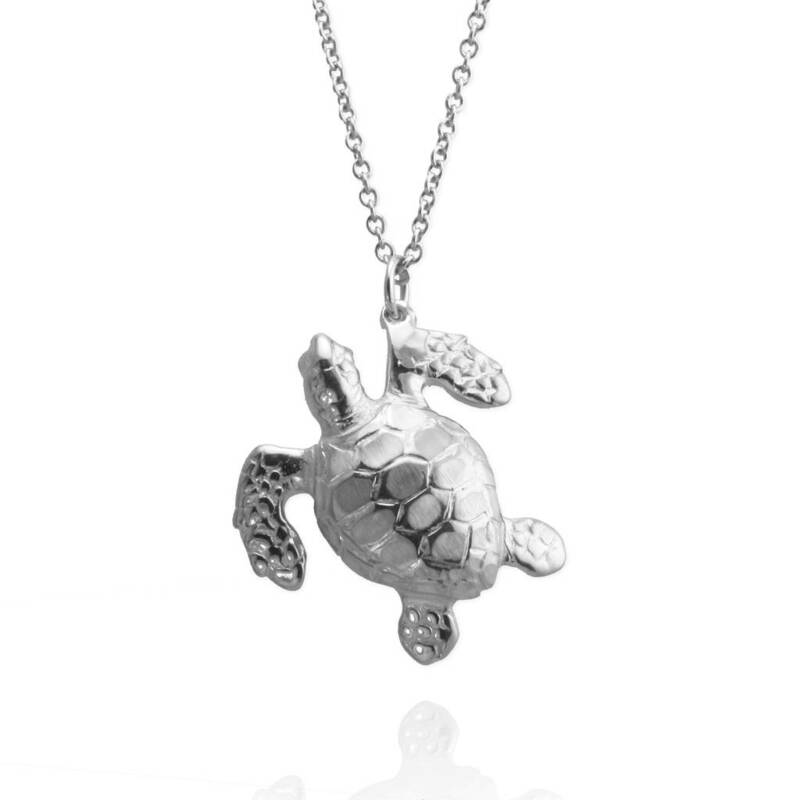 Intricately carved to add the details of the flippers, the shell, even the wrinkly neck! Hand polished to a high shine. Your jewellery will be delivered in one of our pretty jewellery boxes. 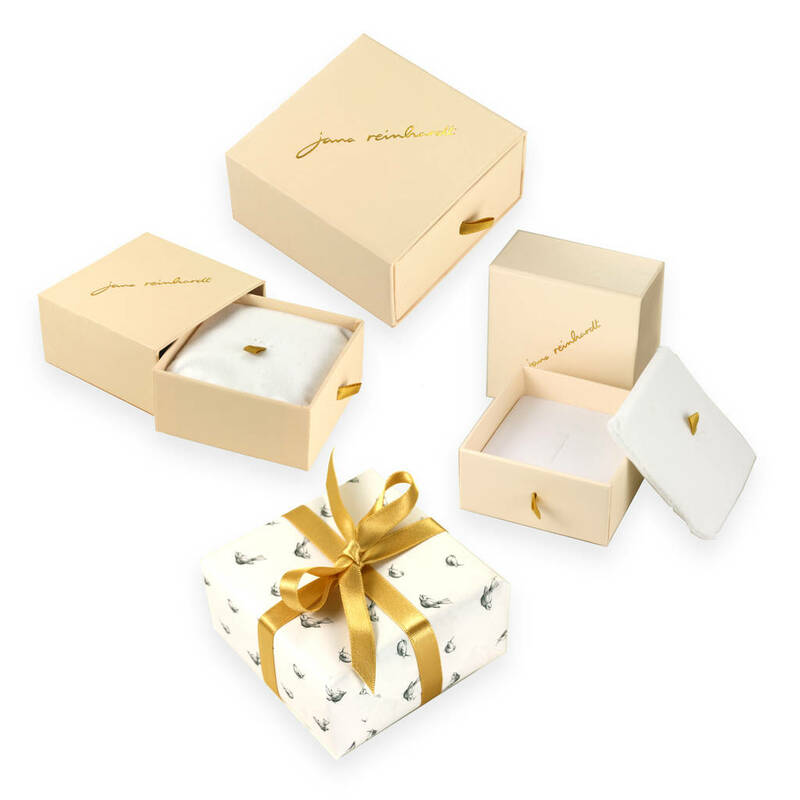 If you're buying for a gift, let us know and we'll gift wrap for free using our hand illustrated wrapping paper and hand tie a golden ribbon around the box. Handmade from Sterling Silver or 22ct yellow gold plated or 18ct rose gold plated silver or solid 9ct yellow gold. 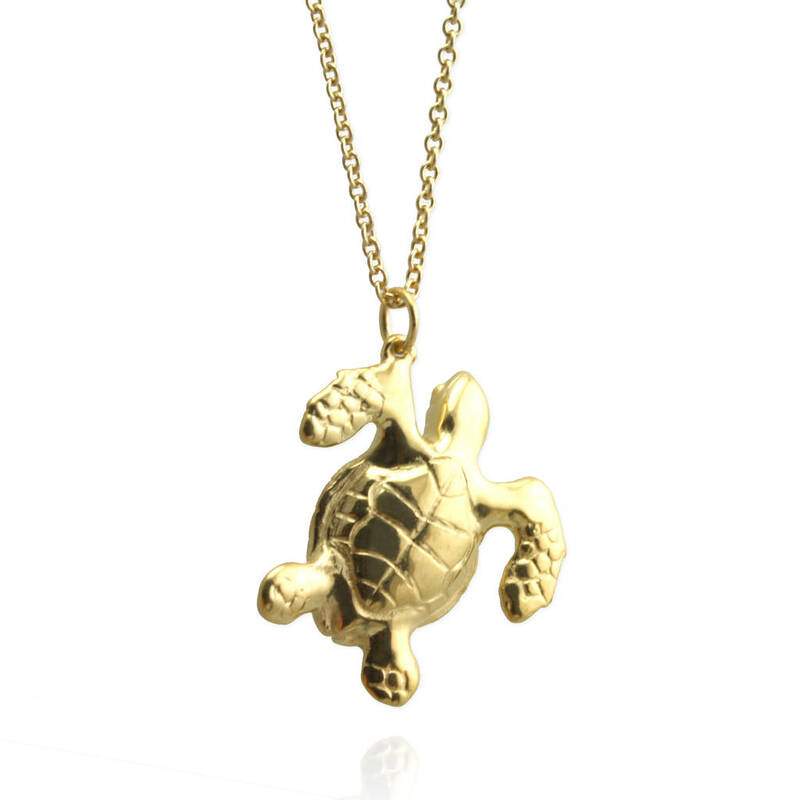 Please note that the solid gold version takes up to four weeks for delivery including hallmarking. Please contact us if you need your order sooner. We are now applying a thicker gold layer than the industry standard to ensure the gold plating lasts longer on our jewellery (three instead of two microns on necklaces and earrings and five microns on rings and bangles) . However, it still is a relatively fine layer of gold on top of the silver and the gold will wear away over time, especially with rings and with anything that is worn all the time. As well as wearing off, gold plating can be badly affected by elements such as heat, chlorine and body lotions. We are happy to re-plate items where the gold plating has worn away within the first three months of purchasing. Beyond this time there will be a charge for re-plating. If you intend to wear your gold plated jewellery every day, 9ct solid gold is a much better option. It stays golden forever! 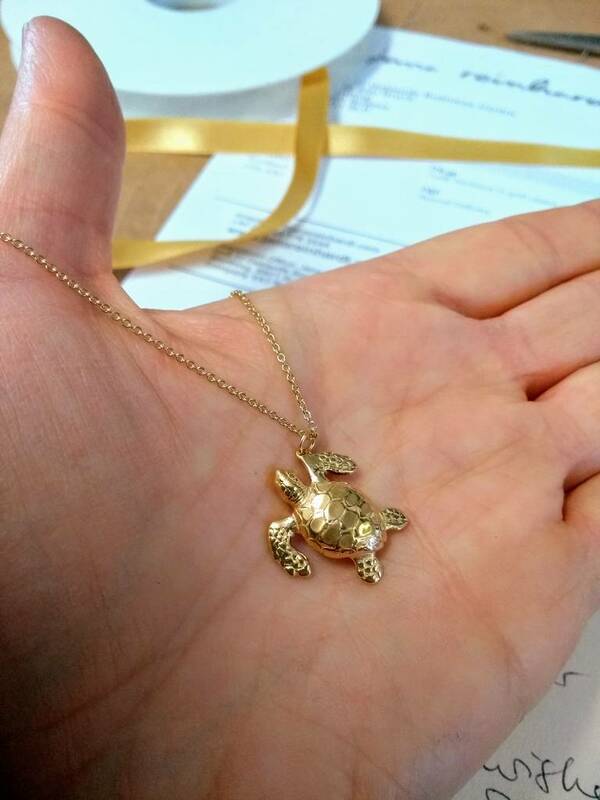 The turtle measures 20 x 20 x 6mm. The 1.2mm trace chain can be worn at 16/18inch(41/46 cm) or 20/22 inch (52/57cm) length. This product is dispatched to you by Jana Reinhardt Jewellery.